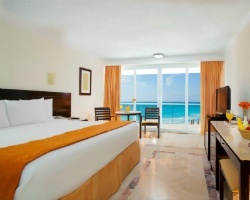 *Krystal International Vacation Club Cancun* is known for the specialized attention that it lavishes upon its guests! 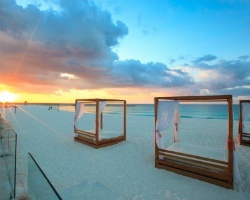 The resort is located in Punta Cancun Beach in the center of the hotel strip, next to the turquoise waters of the Caribbean Sea and within walking distance to numerous restaurants, clubs, bars, malls and a convention center! 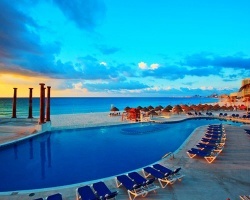 Enjoy the health club, tennis or racquetball courts, aquatic activities, and the outdoor pool. You'll enjoy days with lots of fun-filled activities! For more information about this beautiful property, visit www.kivc.com. 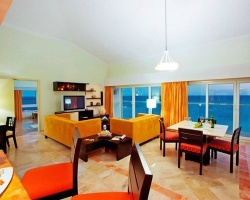 *RCI Affiliated Resort* Featuring a beautifully appointed 1 bedroom, 2 bath suite that will accommodate 6 guests comfortably. Usage is annual in a floating, red season week. RTU contract expires in 2052. With membership, there is a banked week available through RCI. For more information or to make an offer, please submit the inquiry form.